Great news for users of iFile, the jailbreak Finder solution for the iPhone that lets your browse your device’s native file system. 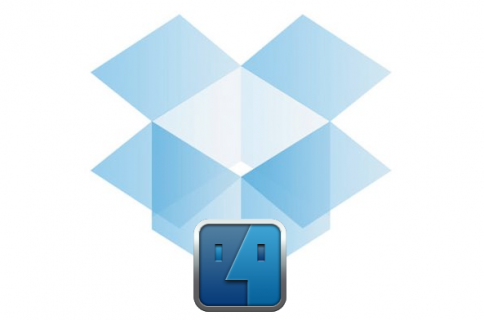 It just got approved for DropBox API access, meaning that full-fledged DropBox integration can’t be too far behind. 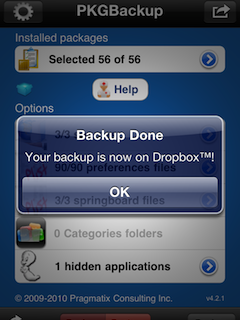 iFile is probably one of my most used jailbreak apps for the iPhone because of its versatility and ease of use. This is a great move not only because it makes iFile that much more convenient to use, but because it further legitimizes jailbreak apps. 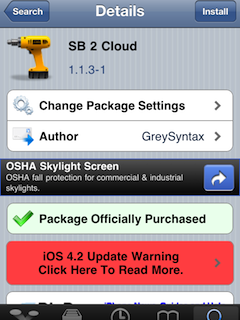 There is this stigma that continues to cloud the jailbreak community, but we can see that starting to change with companies like Toyota opting to use Cydia as an advertising platform, and legitimate app developers like DropBox continuing to allow Cydia apps to use their APIs. There’s currently no solid date as to when we should expect the DropBox integration to be complete. The guys behind iFile are pretty regular with their updates, so it shouldn’t be too long of a wait. What do you think about this move? Are you happy to see iFile continue to mature into one of the best file managers available for iOS?